Download the LARGE zip file from ThemeForest. Extract this zip file to your desktop. Inside this zip file are lots of other files (such as documentation, PSD files, source files and theme files). Find the smaller theme zip file (sometimes called "theme.zip"). 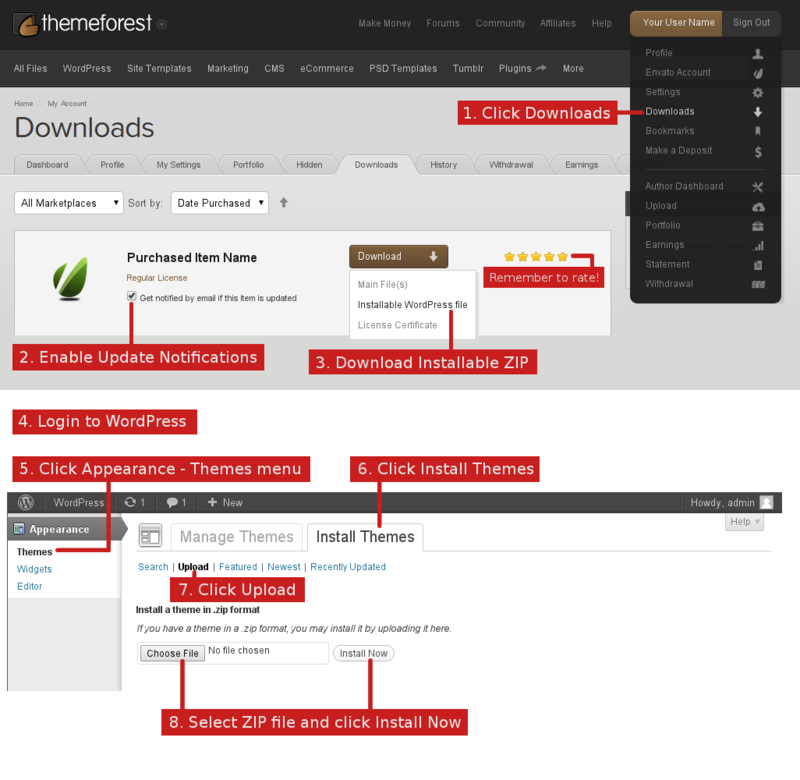 select the smaller theme file (eg: theme.zip) and upload it in WordPress. Do not upload the entire LARGE zip file - this will not work.